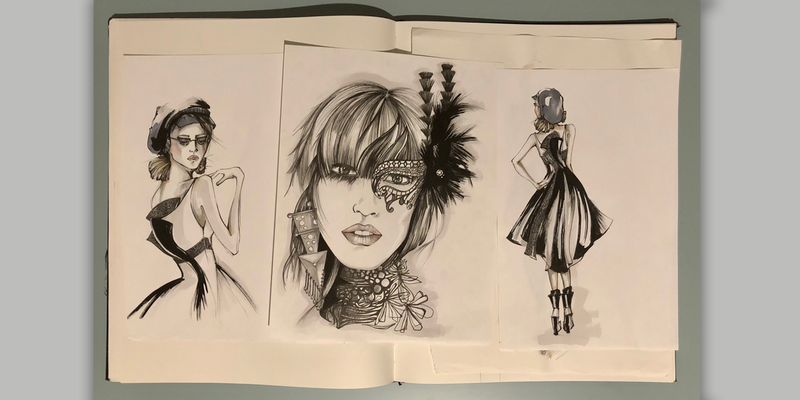 Illustration is crucial to the design development process. 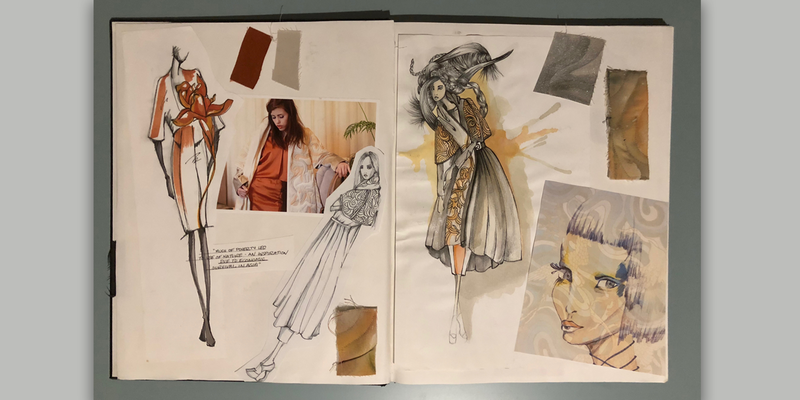 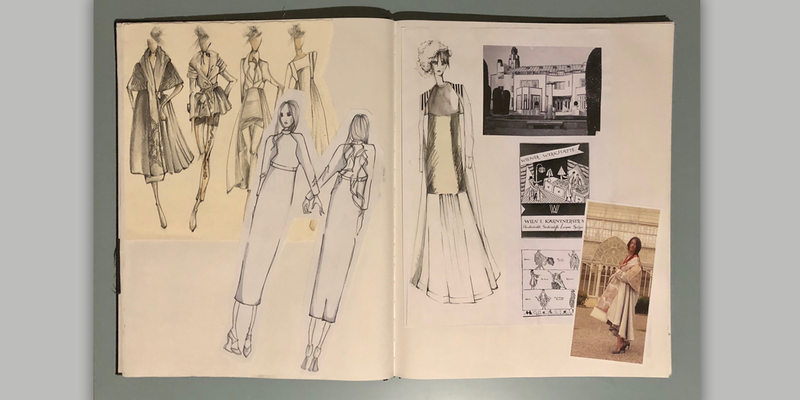 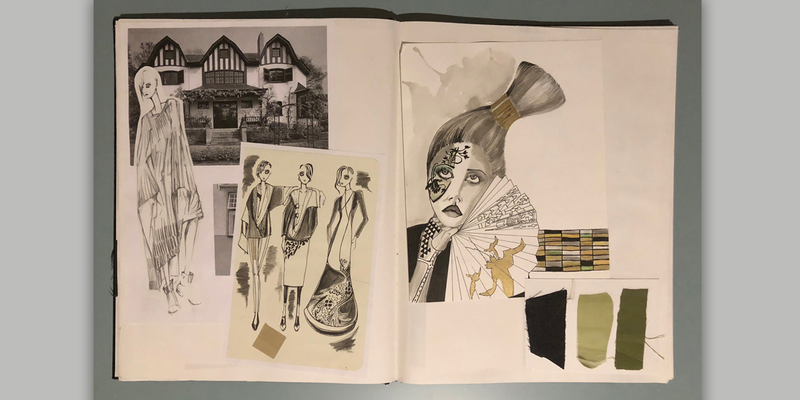 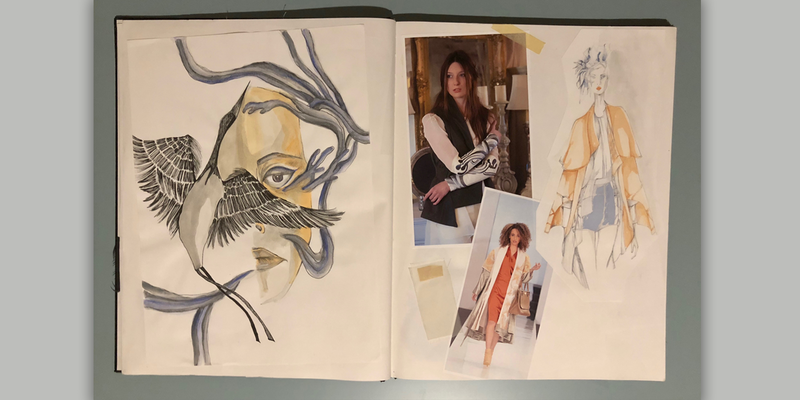 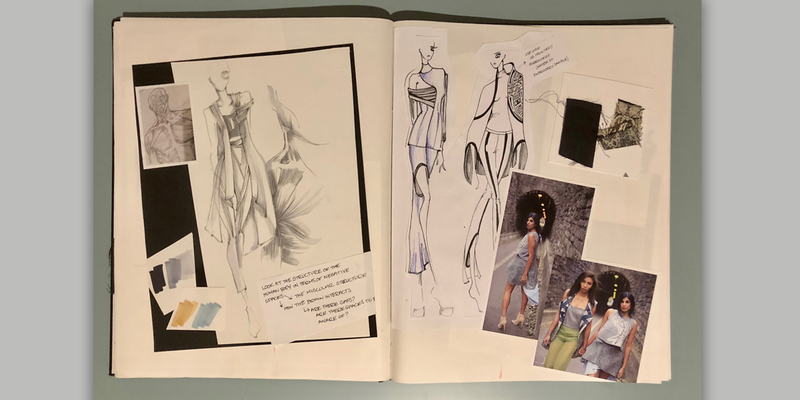 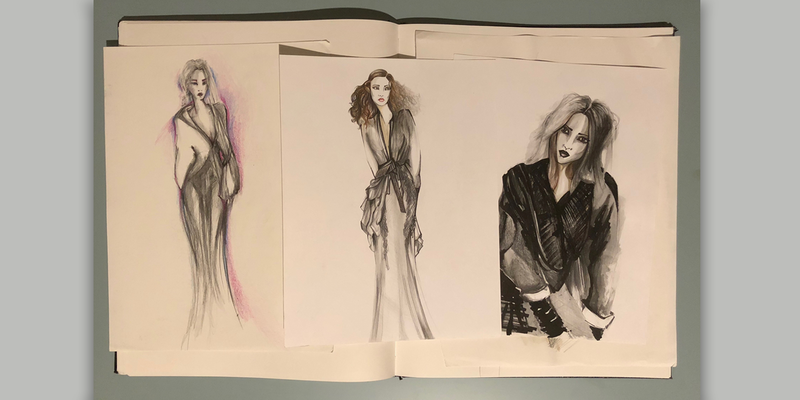 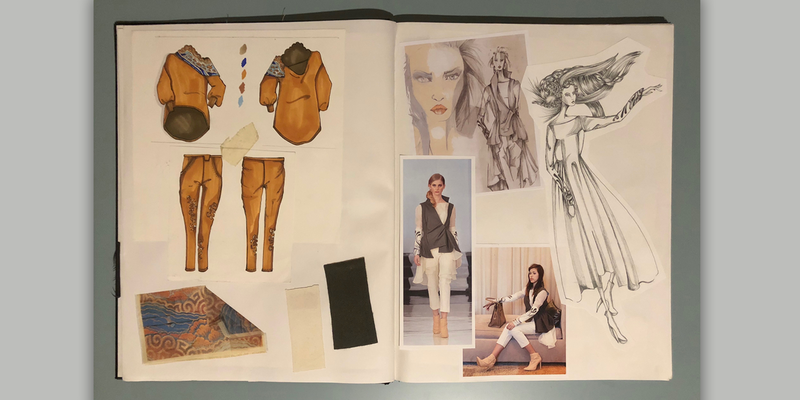 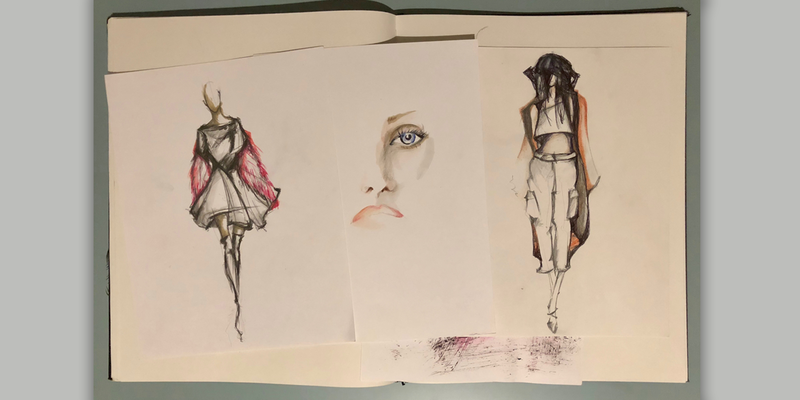 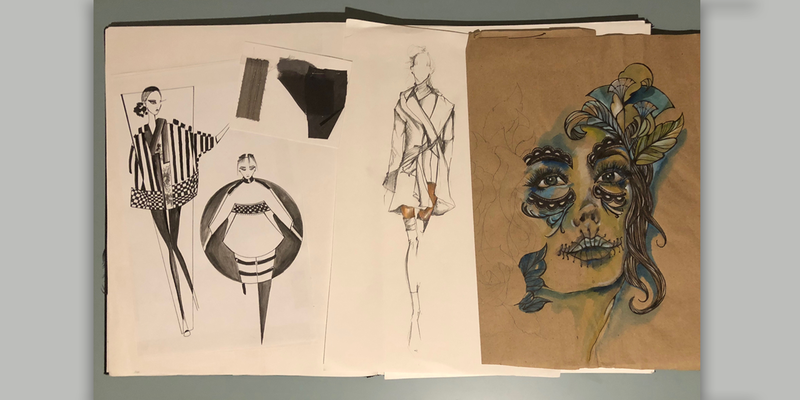 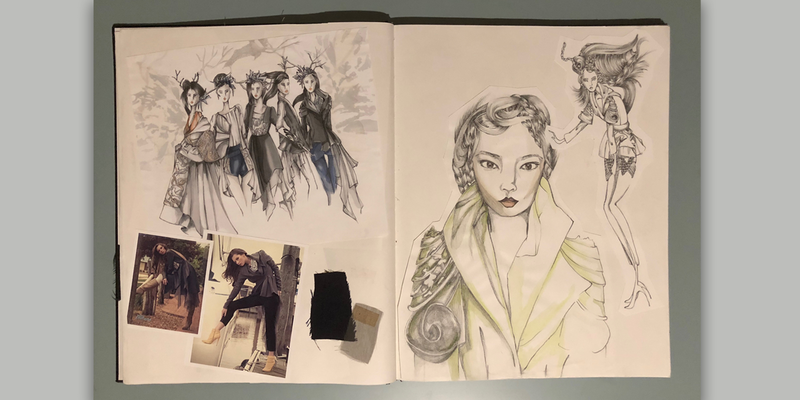 Some sketches are visual representations of the research, while others are interpretations of the garments themselves. 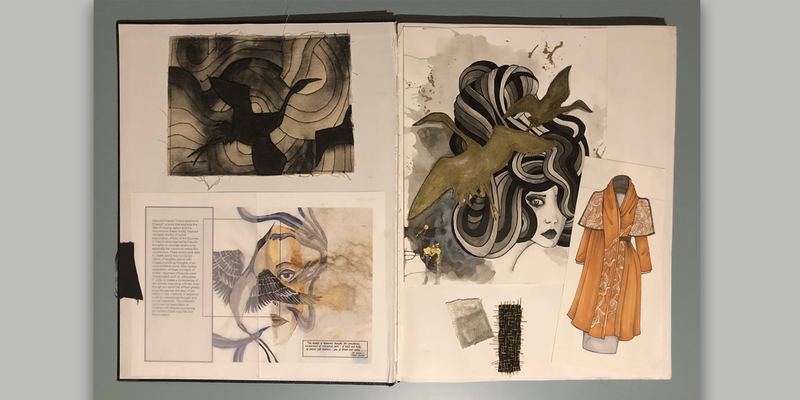 The initial sketches often shift throughout process as more ideas come to light.